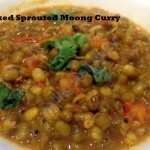 Moong beans are one of the easier beans to digest and are loaded with micro-nutrients. 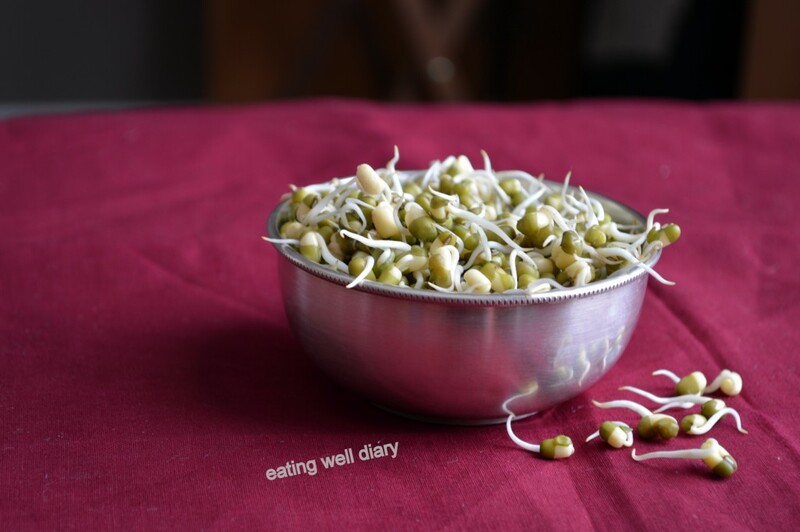 Sprouting makes the B-vitamins in it more available and also increase he soluble fiber content. 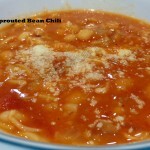 It is also the easiest bean to sprout. Any method would work well- muslin cloth, a covered colander or a seed sprouter. 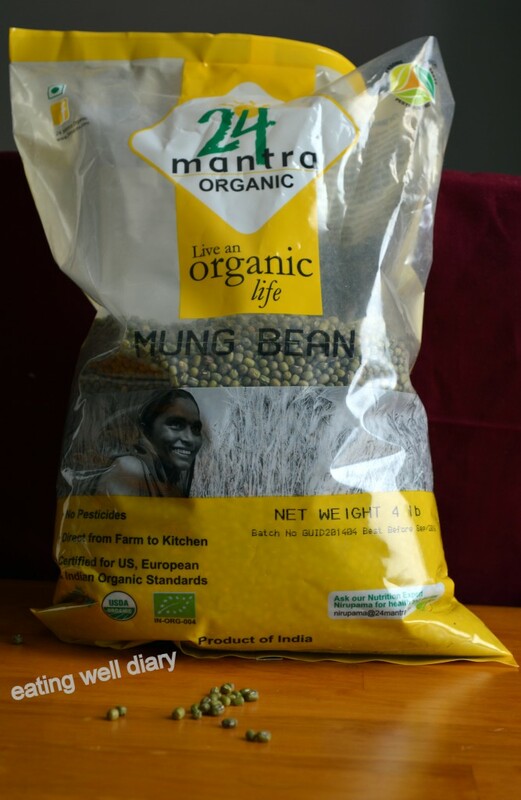 A tip: A reliable brand of mung beans is 24-Mantra Organic which you could find in an Asian market. It contains uniform, large beans that form the best sprouts. 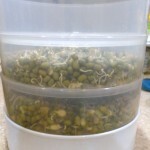 I like to make mung sprouts almost every week, in a big batch, using my sprouter. Always forms uniform and lovely sprouts. 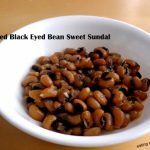 This sprouter can be successfully used for many other beans as well. 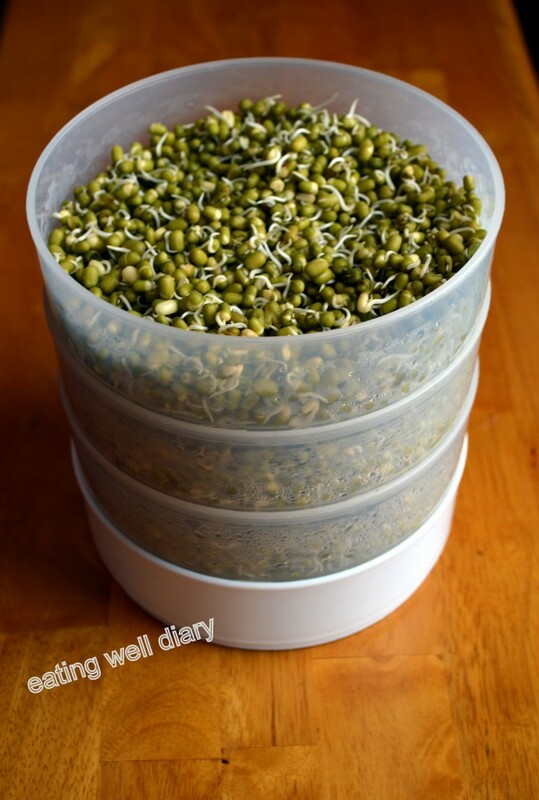 DO CHECK my Sprouting 101 post for details. Pressure cooked: In tomato gravy or as a dry savory snack. Recently, a friend shared some useful information that raw mung sprouts when taken every morning can improve hair growth and overall health. Since then I have made it a regular habit to make this easy salad, at least a few days in a row. Toss all ingredients together and let it sit for 20 minutes to allow sprouts to absorb flavors. 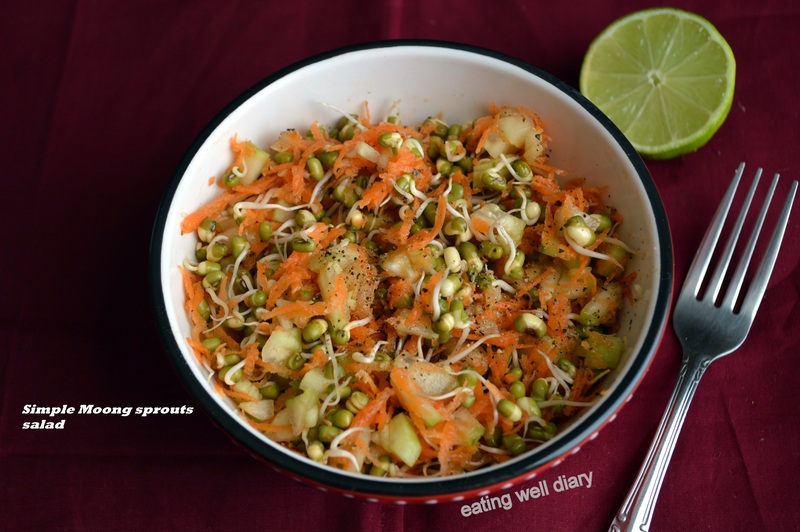 A good idea would be to let the sprouts and carrot soak in lime dressing overnight in the fridge. The next morning, add any other ingredients and the salad will be ready to eat! Sharing this at Sonal’s Diabetic Friendly Thursdays this week alongside these awesome entries from Prachi and Shailaja. Taking this with me over to Angie’s place as I join them in Fiesta Friday #62, co-hosted by Jess@ Cooking Is My Sport and Prudy@ Butter, Basil and Breadcrumbs. 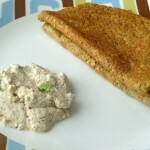 Also sharing at Vegan Link-up #39 at Urban Naturale and Virtual Vegan Linky Potluck 7. I love mung beans. I ate it often when I was growing up. This looks deliciously healthy. thank you so much, Anna. I have developed a great liking for it too. What a pleasant surprise girl! I am so glad that you joined DFT this week. So awesome. I am linking your pos on mine for more ideas. 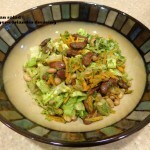 Super healthy and protein rich salad…. I have one of those sprouters too, but with 1 tier, very convenient and perfect sprouts like you said. The salad looks fresh & delicious! Yes, I think the sprouter works better than muslin cloth, especially in dry weather. thank you, Naina. S glad you like this, Jess. Thank you for co-hosting FF! Yes, do try it, Vidya. Worthwhile buy! Sprouting is such a great way to add amazing nutrition to our diets! 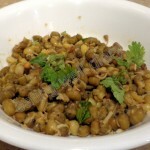 I am so delighted that you shared your healthy and delectable mung bean sprouting instructions and salad with us on the Plant-based Potluck Party. I sincerely appreciate it. 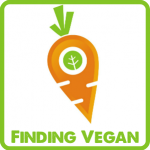 I’m following, pinning and sharing. MMMMMMM,.. What a great tasty post! I lean red a lot too!